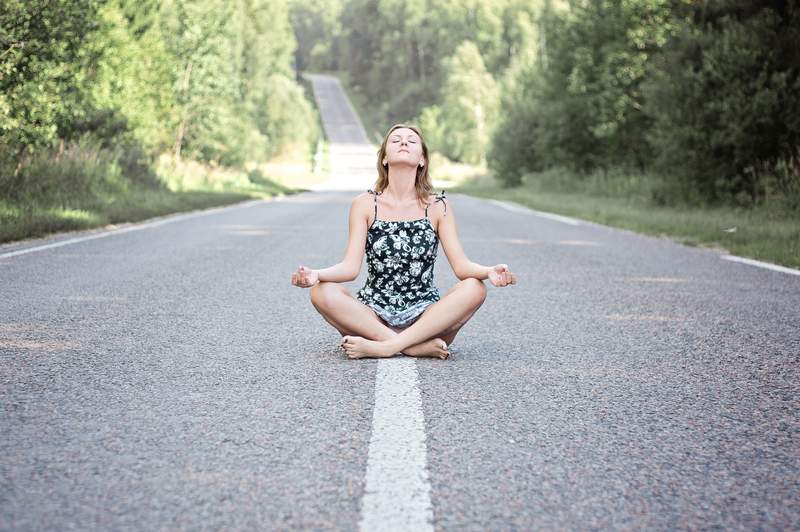 Even mindfulness-based meditation can have side effects. Mindfulness has been heralded as practically a body hack that rolls productivity, anti-anxiety, and focus into one, its therapeutic benefits ranging from easing addiction to quieting mood disorders. But researchers are dousing water on meditation’s glamorization as a miracle cure-all. In a paper published May 24 in the open-access journal PLOS One, psychiatrist Willoughby Britton and her colleagues interviewed Western Buddhist meditation practitioners and found that mindfulness-based meditation can have unintended negative consequences. Practitioners of Buddhist meditative traditions, — like Theravāda, Zen, and Tibetan style — show that using meditation as a psychological therapy is much more complicated than it seems, and can come with long-lasting consequences. Britton and her fellow researchers conducted interviews with 60 meditation practitioners about their challenging, difficult, distressing, or impairing experiences associated with meditation. These issues spanned seven different areas: cognitive, perceptual, affective, somatic, conative, sense of self, and social. They found that most of these meditators experienced significant issues associated with their practice. “The vast majority (88%) of participants reported that challenging or difficult meditation experiences bled over into daily life or had an impact on their life beyond a meditation retreat or beyond a formal practice session,” they wrote. Seventy-three percent of the subjects told researchers that they experienced moderate to severe impairment in at least one area. These results are especially significant when considering the fact that 60 percent of these people are meditation teachers, not just casual practitioners. It’s not that traditional Buddhist literature wasn’t aware of the potential negative consequences of meditation: Ancient literature documents multiple experiences and effects, some causing long-lasting distress or difficulty. “In Tibetan Buddhist traditions, the term nyams refers to a wide range of ‘meditation experiences’ — from bliss and visions to intense body pain, physiological disorders, paranoia, sadness, anger and fear — which can be a source of challenge or difficulty for the meditation practitioner,” write the researchers. Researchers interviewed meditation practitioners about their difficult and negative experiences associated with meditation. Some of their symptoms and impairments lasted for years. That’s not to say meditation is terrible, though. In a systematic review and meta-analysis published in 2014 in the journal JAMA Internal Medicine, a team of researchers at Johns Hopkins University examined 47 clinical trials of meditation programs that included 3515 participants, finding that mantra meditation, had measurable (though small) benefits. “Mindfulness meditation programs, in particular, show small improvements in anxiety, depression, and pain with moderate evidence and small improvements in stress/distress and the mental health component of health-related quality of life,” write the researchers. They found no evidence of negative side effects — but most of these studies did not look for negative effects. That avoidance of addressing potential negatives might be the reason why meditation’s positive benefits have been overhyped. Every medical intervention has a possible risk of harm, and when prescribing part of a religious practice such as Buddhist mindfulness meditation, which carries an inherent possibility of negative effects, that risk seems to increase. Abstract: Buddhist-derived meditation practices are currently being employed as a popular form of health promotion. While meditation programs draw inspiration from Buddhist textual sources for the benefits of meditation, these sources also acknowledge a wide range of other effects beyond health-related outcomes. The Varieties of Contemplative Experience study investigates meditation-related experiences that are typically underreported, particularly experiences that are described as challenging, difficult, distressing, functionally impairing, and/or requiring additional support. A mixed-methods approach featured qualitative interviews with Western Buddhist meditation practitioners and experts in Theravāda, Zen, and Tibetan traditions. Interview questions probed meditation experiences and influencing factors, including interpretations and management strategies. A follow-up survey provided quantitative assessments of causality, impairment and other demographic and practice-related variables. The content-driven thematic analysis of interviews yielded a taxonomy of 59 meditation-related experiences across 7 domains: cognitive, perceptual, affective, somatic, conative, sense of self, and social. Even in cases where the phenomenology was similar across participants, interpretations of and responses to the experiences differed considerably. The associated valence ranged from very positive to very negative, and the associated level of distress and functional impairment ranged from minimal and transient to severe and enduring. In order to determine what factors may influence the valence, impact, and response to any given experience, the study also identified 26 categories of influencing factors across 4 domains: practitioner-level factors, practice-level factors, relationships, and health behaviors. By identifying a broader range of experiences associated with meditation, along with the factors that contribute to the presence and management of experiences reported as challenging, difficult, distressing or functionally impairing, this study aims to increase our understanding of the effects of contemplative practices and to provide resources for mediators, clinicians, meditation researchers, and meditation teachers.